It seems like me being bored is not a good place to be, as while studying for my last exam last week, I got bored and convinced myself to buy a Kindle. It was fairly sudden, although I had been contemplating it for quite a while. I thankfully do not regret the decision at all :) I’ve also loved the e-ink display since the moment I first saw it. The choice of Kindle is fairly straightforward. There are 3 main choices. All 3 versions come with WiFi standard. The cheapest of the lot (6″ screen) goes for $139, then there’s the one up version which comes with 3G connectivity extra for $189. Then there’s the Kindle DX, which has a larger screen (9.7″) also with 3G which goes for a rather high $379. A friend recently bought the DX and figured it wasn’t really worth it for the extra area, and at that price I wasn’t too keen to get it. Comparing the other two I decided I’d get by with only the Wi-Fi and decided to spare myself the $50. There’s one other choice. The two smaller Kindles can be bought “with special offers”. This basically entails you getting a $25 discount at the cost of having some adverts shown on the screensaver and the home page. Reading some reviews, it seems the ads aren’t that intrusive, so I figured I’d get that. At $114 I felt it was the best choice. So I happily went online put it in the basket along with a cheapish cover. Unfortunately, as I find out, non-Americans can’t buy the versions with Special Offers. If you plan to purchase one, you also need to select the international version, comes with a USB cord in place of the wall charger. You, like me, may also pick a very nice case, on special, from Amazon, and then when you try and buy it get told you can’t buy it because you’re South African. Certain products on the store are only for the American market so you can’t be assured you’ll be allowed to purchase a product. So in the end I left the nice leather case, and just picked up a cheap cover from E-Bay. I also decided to just go for the plain Kindle for $139. You aren’t given any choice with postage, which is fine, you are forced to select priority postage. This means you get your Kindle in about a week and it only costs about R150. This is less than what certain local retailers charge for postage. There are several places you can get hold of a Kindle. Locally I’ve seen adverts on Gum Tree, wantitall also advertise them as well as digital planet. However all these offerings end up costing you at least R300 more (on the base model). The final price I paid was roughly R1250, including postage, including import duties. The next fun part is DHL. I’ve ordered things locally and had them couriered by different people, mainly Speed Services, and have always been happy with the service, DHL however were almost flawless in their Delivery, and their tracking website is just great. It would appear that every single time the package gets scanned, it gets logged and is visible online. I went to sleep that night, and by the time I had woken up the next morning, my Kindle had already travelled the width of America. That night it was in England where it sat around for a day before it ended up in SA, went through customs on Sunday and was all set to be delivered to me on Monday. This is where the almost flawless comes in. They somehow managed to send it to the wrong DHL centre in Cape Town, which delayed my delivery by a day. This wasn’t too much of a concern though, as you can subscribe to email updates, which meant I knew this at the beginning of the day, and the following morning I received an email to say it had been dispatched. Ordered Thursday night, arrived Tuesday morning. 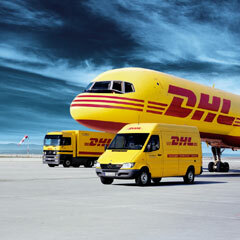 DHL also have some fairly cool webpages relating to the logistics and things to do with their sorting and transport etc. If you’re bored, have a look here. I had expected the process from here on out to be fairly pain free, however this was not to be. It’s not that it shouldn’t be, it’s just that Stellenbosch University’s internet and network structure isn’t managed that nicely. The Kindle appears to have a complex way of connecting, before it allows one to connect to a Wi-Fi network, it checks whether it can get through to the internet, this was fine and I managed to connect my Kindle to my personal Wi-Fi AP, and surf the internet from my Kindle, but it refused to register itself. I tried all kinds of things, and took it to a friend’s house who did some WireSharking but couldn’t really figure out what was going on, the Kindle didn’t appear to be trying to connect, and that traffic it did generate didn’t appear to have any issues, but it just wouldn’t work. Anyway, I took it home and used the Wi-Fi there and it worked immediately, registered itself and downloadedthe messages that were waiting to be downloaded. It now also works fine with my Wi-Fi at the university. Makro today announced that they will be selling the Kindle locally. At a quoted price of R2500 for the Kindle 3G, it sounds kinda ridiculous. 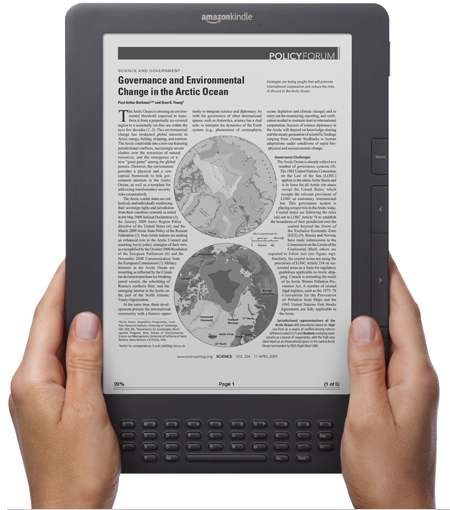 You should be able to import the same Kindle including postage/taxes for about R1700. This entry was posted in computer and tagged Amazon, DHL, Kindle, Wi-Fi problems by Gareth. Bookmark the permalink.